Few days back as I was cooking dinner, my hubby's colleague who stays in the same housing complex as we called up and invited us for an impromptu potluck dinner. I was cooking a vegetable curry when his call came and I told him to give me 40 minutes to prepare something appropriate for the occasion and there we went getting ready for a sumptuous potluck dinner. I love such unplanned pleasures where everyone contributes a food which is shared by all in the group. It kind of also tests your presence of mind in choosing a dish that would take less time for preparation yet would turn out tasty. I chose to cook egg devil curry which is a staple item in my parents' home and which I cook quite often for the guests and without fail, it always earns me brownie points. 2) Now heat oil in a wok. 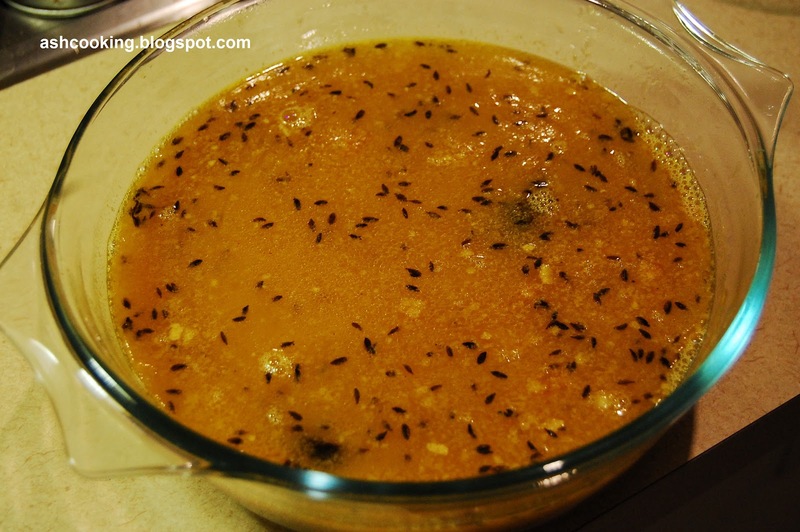 When oil turns hot, toss in cumin seeds and let them crackle. Add kokums and cumin powder. Stir around and pour the dal in. Add water as per your need for the consistency. If you want a dal of thick consistency, add less water and if you prefer thin consistency, add more water. 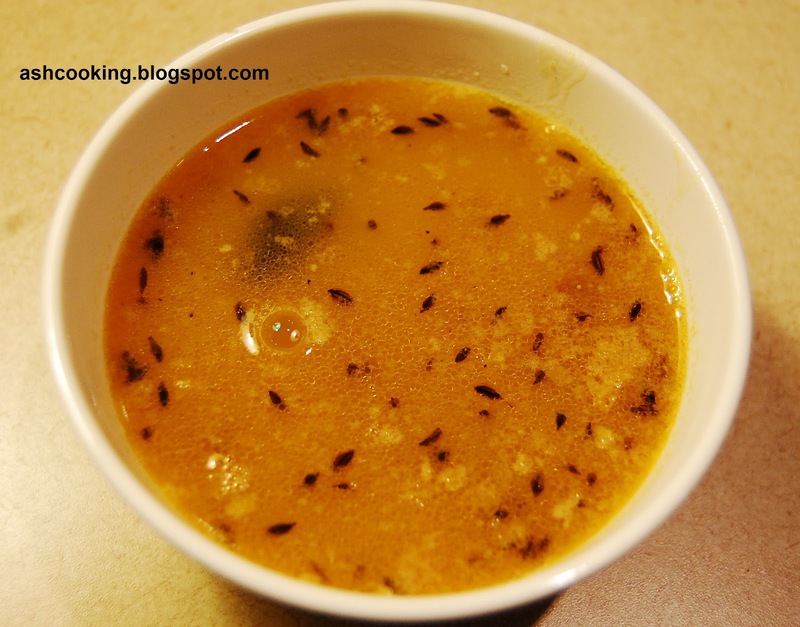 3) Let the dal come to a boil. Add salt and jaggery. Mix in and when the jaggery melts into the dal lending a sweet flavor to the dish, turn the heat off. 4) At last, garnish the dal with coriander leaves. Serve hot with rice.